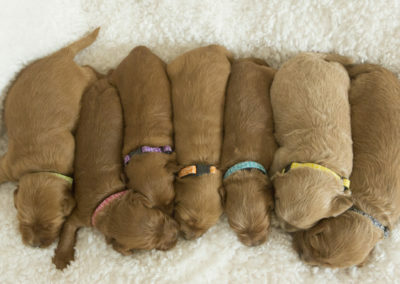 Although not (yet) recognized as an official breed,the name “Australian Labradoodle” is already knownfor several years. 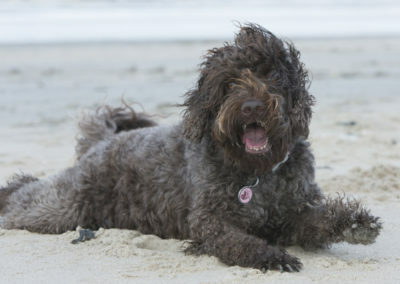 “Australian Labradoodle” meansa cheerful curly dog, created from a beautiful amalgamation of the various parentbreeds (LabradorRetriever, Poodle, English and AmericanCocker Spaniel, IrishWater Spaniel and Curly Coated Retriever). 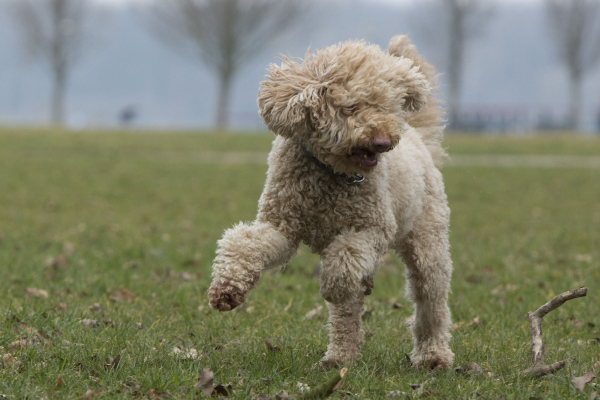 There are three leading breeding associations: Australian Labradoodle Association America (ALAA), Australian Labradoodle Association (ALA) and Australian Labradoodle Association Europe (ALAEU), who use the name Australian Labradoodle with pride. 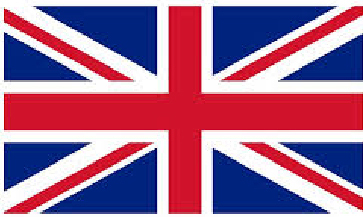 The associations operate in their respective region. For some time, the name Cobberdoghas been introduced as an alternative for Australian Labradoodle.This is quite confusing for new dog owners and potential new dog owners. What is a Cobberdog and what is the difference with an Australian Labradoodle? Actually a Cobberdogcan be seen as the same wine in a new bottle. They have to a large extend the same pedigrees as the Australian Labradoodle. 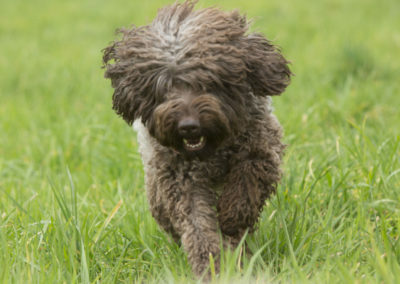 A few breeders, not affiliated with the ALAA, ALA and ALAEU, believethat the name Cobberdogwould be an improvement with respect to the name Australian Labradoodle. It is also claimed that official breed recognition could be realised shortly under the name Cobberdog in Australia with the organization MDBA. ALAEU likes to point out that the only worldwide operating organization that can recognize official breeds is the FCI. At this moment this isn’t happening for neither the Australian Labradoodle nor the Cobberdog. There is one main difference between the Cobberdog and the Australian Labradoodle and thatis a Wheaten Terrier, whichis allowed in the pedigree of a Cobberdog. 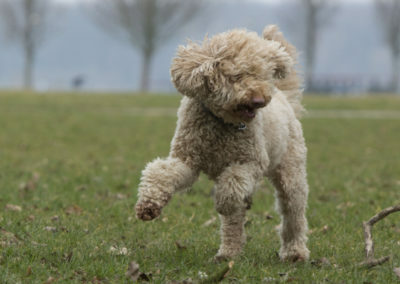 The ALAA, ALAEU and ALA don’t allow a Wheaten Terrier in the pedigree of an Australian Labradoodle,becauseThey believe the character of the Wheaten Terrier isn’tpositive addition to the Australian Labradoodle. Without aWheaten Terrier anywhere in the pedigree of a Cobberdog(in all generations as far as we can find) theCobberdog and the Australian Labradoodle are the same. Is this clumsy and confusing to new dog owners: yes! We can therefore say we aren’t in favour of the new name. 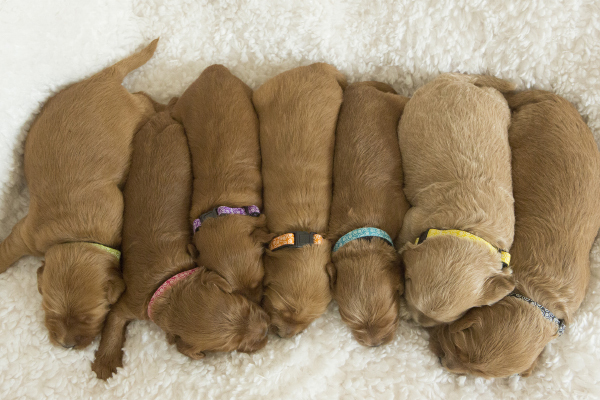 ALAEU breeders will continue to use the name Australian Labradoodle and will stand up for breeding the Australian Labradoodle just the way they are: ”dogs that make people happy!”.